One of the best charter bus providers in Twin cities. Our rates are comparitively cheap. Call us today to get the best rate for Deluxe Motor Coach, Mini Bus, School Bus, Party Bus, Limousines, Van and more... for any of your charter bus events. Prompt Charters is the major charter bus company in Twin Cities, Minneapolis. 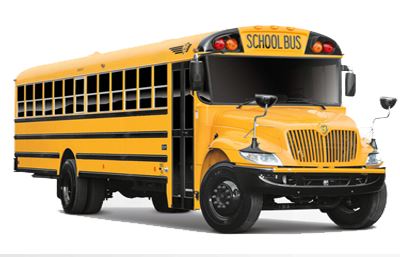 With the most modern fleet of 56 seat coach buses, 25 seat mini buses and 48 seat school buses, we are the largest and most recognized charter bus company in Twin Cities. As the premier buc omapny in tow, we charter buses for corporate events, church trips, school field trips and political campaigns. In addition to our two locations in Minneapolis and St Paul, we have offices in other cities such as Indianapolis and Chicago. Looking for an exciting event or trip in the Twin Cities? Why don’t you think about getting a charter rental to avoid all the travel hassles? 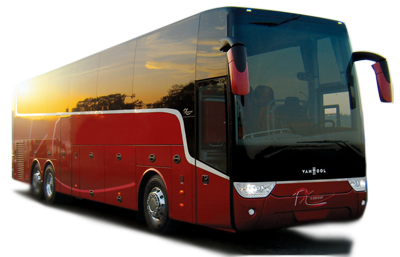 Never worry about your transportation; we have our Twin Cites charter Bus rentals to travel in style and comfort. You can plan anything from a Corporate or Group Travel, Sightseeing Tour or Professional Sports, Religious Convention or Bachelor or ette Party, or Wedding or Convention, or Trade Show, and School Field Trip to a Political Campaign in the Twin Cities area. Get quotes for our Charter services. Choose any vehicles from our variety Charter Buses and Motor Coaches, Mini Buses and School Buses, Tour Buses and Party Buses, Luxury Entertainers and Limousines, Limo Buses or SUVs, Sedans and Vans. Make selections based on your preferences in budget, occasion, group size and need. Made up of the large metro areas of St. Paul and Minneapolis, the Twin Cities bustle with entertainment, cultural productions, and professional sporting events. Both centers have a wealth of museums, including the Museum of Questionable Medical Materials at the Science Museum of Minnesota and the Minnesota Museum of American Art. The Mississippi River, which separates the Twin Cities, is a setting for recreational activities. Nearby in Bloomington, The Mall of America is a shopper's paradise. As the largest mall in the U.S.A., the shopping center boasts an overwhelming 520 outlet stores, a giant walk-through aquarium and an amusement park. Looking for a restaurant in Twin Cities Minnesota? Find a great place to eat from a great list of restaurants. If accommodation is that matters you in Twin Cities, then no worries. The great lodging choices vary from hotels, bed & breakfasts, cabins, hostels, inns and campgrounds. Even houseboat rentals are a possibility. Shopping choices will excite you and confuse you as to what you should and not to buy. Looking for things to do in Twin Cities Minnesota? From the legendary fishing of the North Woods to the nationally acclaimed art scene of the Twin Cities, over 800 annual state-wide festivals to the over 500 pristine golf courses and the kitschy allure of the world’s largest leather boot to the world-renown architecture of the Guthrie Theater, Minnesota adventure awaits you. The Twin Cities are familiar to people because of the Mall of America, Mary Tyler Moore throwing her beret in the air in front of the IDS, and its lakes. While these are among the top tourist attractions, there are others. Most of these are outside of the downtown Minneapolis area. Some are in downtown St. Paul. For the downtown attractions, you should walk and while you're at it, take a stroll through the skyways. Never miss out the famous attractions like Minneapolis Institute of Arts, Sculpture Garden at the Walker Art Institute, Minnesota Zoo, Arboretum, The Chain of Lakes, Science Museum of Minnesota, The Children's Museum, Weisman Museum, Guthrie Theater, Frederick R. Weisman Art Museum, Envy Nightclub, Foshay Tower, Midtown Global Market, Uptown, The Bulldog NE, Eloise Butler Wildflower Garden, American Swedish Institute, Mill City Museum, The Depot Skating Rink, Aveda Institute Minneapolis, Walker Art Center, and the Warehouse District. Make your Twin Cities vacation a memorable one with our charter service to take you to anywhere you desire. Also, do not forget to get the quotes for our services during emergencies and airport transportation.